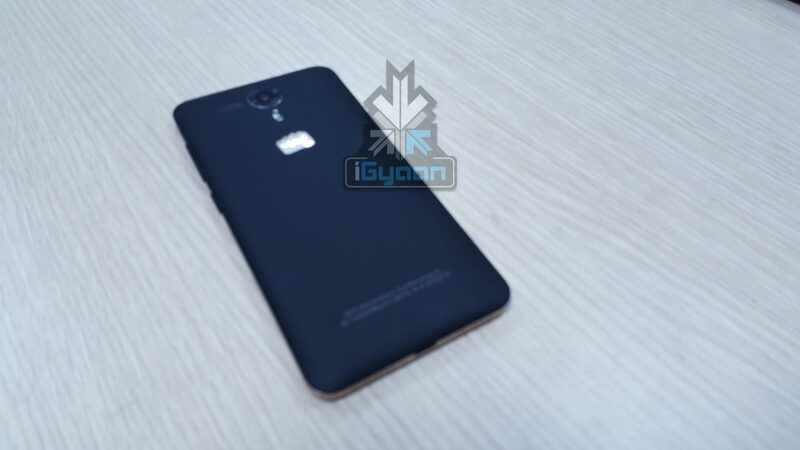 If our source is to be believed, this is Micromax’s next big thing. However it is going to be an ultra budget device. Details are sketchy at the moment, however it appears to have a black and gold design with a metal frame. The phone is expected to be below the 10k price bracket considering their own Yureka sells for Rs. 8,999. The second image illustrates the device slightly better and also shows off the 13MP rear camera. 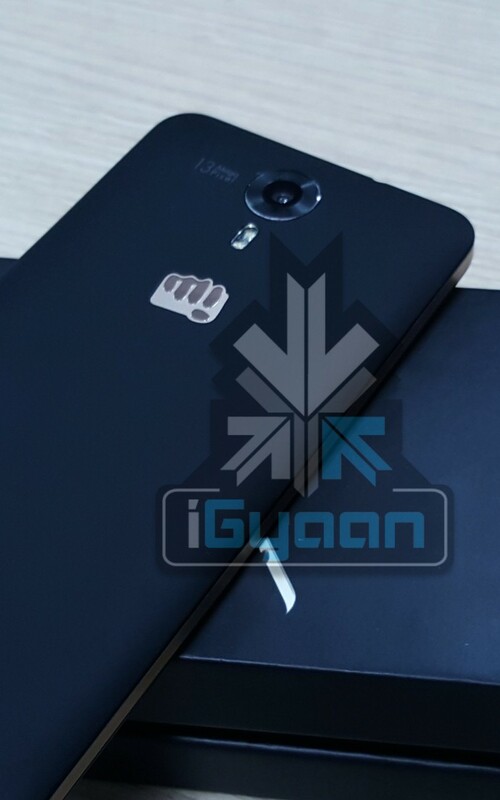 The Micromax logo appears to be in a gold colour as well. The rear appears to have a rubberised back cover. Our source (who refuses to be named) also tells us that the device will be a Snapdragon 615 handset and may possibly run Cyanogen OS. We know that this device will be competitively priced and may be sold through an online exclusive partner. The details of RAM, storage and display etc. are presently unknown. We are trying to get more information or at least a name for the handset. The leaked smartphone is expected to launch soon, however, all this must be taken with a pinch of salt. It is just as likely that this could be a prototype or a test device. Micromax officially declined to comment on the same.